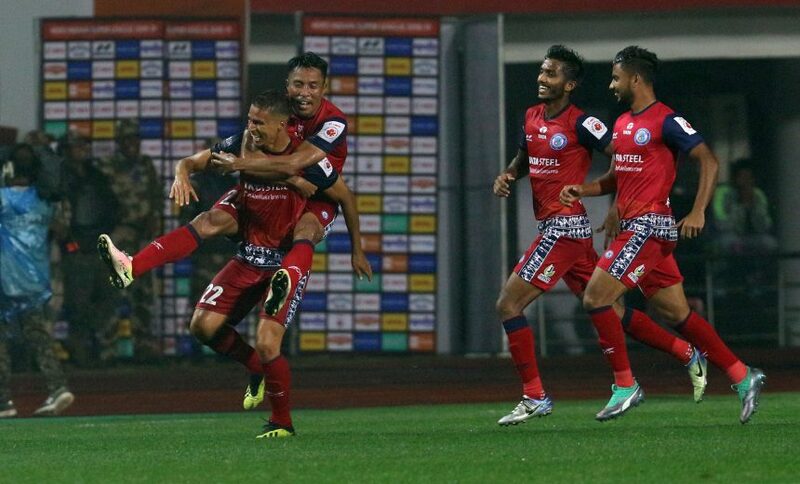 Jamshedpur FC claimed a vital win in their quest to reach the Hero Indian Super League play-offs after a hard-fought 1-0 win over Mumbai City FC at the JRD Tata Sports Complex here on Friday. After a goalless first half, Jamshedpur stepped up the pressure on Mumbai and found the match-winner through Memo in the 80th minute. The result sees Jamshedpur inch to within a point of fourth-placed NorthEast United, while Mumbai remain in second position, four points ahead of Cesar Ferrando’s team. The game got off to a scruffy start with several niggly fouls despite Jamshedpur enjoying most of the early possession. The first bit of attacking action came in the 15th minute when Mumbai’s Paulo Machado curled a free-kick from range inches over the crossbar. Jamshedpur were not to be left behind as Farukh Choudhary stung the palms of Mumbai custodian Amrinder Singh from about 25 yards. The visitors then had a great chance to take the lead when Rafael Bastos sent an angling cross into the box but Machado could not keep his effort on target at the far post. The patchy nature of the match continued and Jamshedpur were fortunate to stay level before half-time when Moudou Sougou almost capitalised on a terrible back pass from Pratik Chowdhury. However, Jamshedpur goalkeeper Subrata Paul was alert and averted danger. The second half started with some end-to-end action on display before Jamshedpur took control. Ferrando’s men looked to force the issue and had the visitors on the ropes for much of the half. With some exquisite passing in midfield led by Mario Arques and Pablo Morgado, Jamshedpur created several chances but just could not finish them. A cross from Arques in the 65th minute was almost turned in by Lucian Goian whose attempted clearance saw the ball bounce just wide of the post. Jamshedpur kept asking the Mumbai defence questions but to no avail. Jamshedpur were finally rewarded in the 80th minute for their perseverance after a set-piece was awarded for a foul on Morgado. Sergio Cidoncha swung a free-kick into the Mumbai box and Amrinder could only present a weak punch to the effort. The ball fell for Memo who sent a looping header over Amrinder into the far corner to spark delirious scenes at the stadium. The Men of Steel saw the game out without much hassle to spice up the race for the play-off spots.